These words are at the core of AltVac Sales and Service. We guarantee the highest Quality work in everything we do. Integrity is our core business principle and has kept customers coming back. The Reliability in our work is the highest in the industry. We are so confident that we are the only service company in Canada that offers an 18 month extended warranty option on all pumps that leave our shop. That’s higher than every other service company and manufacturer in the business. If you would like to know more click on the Services link, or the Contact button above. Greek philosophers Aristotle and Strato theorized about the existence of vacuum but came to the conclusion that no such thing existed in nature. Aristotle believed that air restrained motion and with the absence of air, moving objects would accelerate to infinite speeds. At 300BC the fact that these 2 great men even considered something as advanced as vacuum is a true testament to the brains capabilities. Galileo would start experimenting with the forces needed to create a vacuum in the mid 1600’s and Otto von Guericke (from Germany) created an air pump, making him the first known inventor of a vacuum pump. 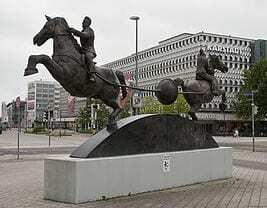 Otto von Guericke tied two teams of eight horses to evacuated Magdeburg hemispheres which they were unable to separate (see picture above). He also proved that a bell can not be heard in a vacuum, plants don’t grow, a candle will not burn, and animals die in a vacuum. Also in the mid 1600’s Robert Boyle uses a Mercury barometer as a vacuum gauge and creates what is now known as Boyle’s Law; which states that for a fixed mass of gas at a given temperature, the products of the pressure and volume is constant. There were many discoveries over the coming centuries. Notably, in 1879 Thomas Edison invented the carbon filament incandescent vacuum lamp; and in 1886 the British Post Office in London installed 34 miles of tubes to carry mail, some with a pressure of 6.5 psi absolute. In 1906 E. Leybold Nachfolger takes up the Gaede rotary vacuum pump for light bulb manufacturing, ushering in the modern vacuum industry. The 1900’s brought forth hundreds of advancements in vacuum technology, from Marcello Pirani’s Pirani vacuum gauge and W. Voege and Rohn’s thermocouple vacuum gauge, to our modern day Turbo Molecular and Dry Scroll pumps. We started AltVac Sales and Service because we felt there was a lack of knowledge, reliability and honesty in the vacuum service industry in Canada. With this in mind our driving force is to create and maintain a level of excellence above our competitors. Making sure our staff has the knowledge to support our clients needs correctly, we not only understands the mechanics and engineering behind vacuum pumps but we have a broad knowledge of the applications vacuum pumps are used in and what the given requirements are. At AltVac Sales and Service we don’t feel that every customer is the same, so we strive to stay on top of technological advancements happening within the vacuum industry world wide. As AltVac Sales and Service grows we will be offering an eCommerce section on our website we hope to provide a complete parts list broken down by individual manufacturer and model. If you have technicians on staff we would be glad to offer support in the way of kit parts and service knowledge. All of our parts will be sold in bulk quantities, ensuring that you get the best price in the industry. For instance if you only replace seals and gaskets on your pump, instead of purchasing individual parts at a high cost you can buy the parts in bulk and save a great deal of money. We also be offering a line of pre-blended high quality lubricants for your application. 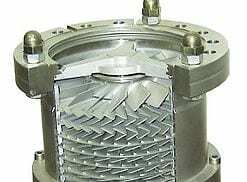 In this section you will find information on the lubricants available and information that will help you choose the right product for your application.